Tulips are a spring favourite, and we always look forward to this time of year when they are back in season. We've chosen a contrasting selection of mixed shades, and they're all perfectly arranged in a curved glass vase. 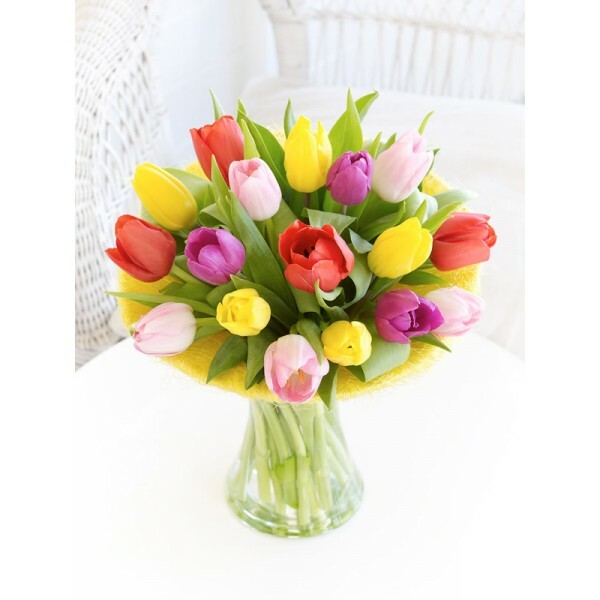 Featuring mixed tulips in a curved clear glass vase with a yellow sisal collar. VASE INCLUDED.